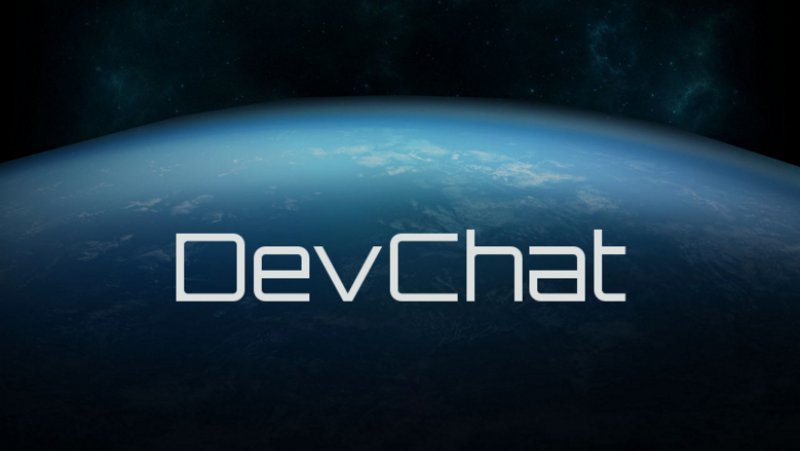 Welcome back to another episode of DevChat, this time covering January 20th to 21st! Due to a horrible bug with our internal logger we lost the logs of everything prior to the 20th. This Devchat was originally supposed to be the 15th through the 22nd. You can expect the 23rd through the 26th on Wednesday. Remember. Unless it comes in an official CIG Dev Post, or comes straight from Chris Roberts’ mouth, it’s not ‘official’. These are just some tidbits that are all over the place. Not really all related to each other. CIG Matt Sherman (5:29:08 PM): Currently, missiles are pilot controlled, ya, but we’ll be building out the secondary station controls in the long-run, so it’s not to say those turret gunners won’t ever have access/control for those. CIG Matt Sherman (5:30:17 PM): Most games take years to reach this kind of state, and in the majority of those cases, the developers wouldn’t have been openly showing anything to the public. CIG Matt Sherman (5:30:44 PM): Games development is not a rapid-process industry, things take time to do well, especially when it’s things other studios haven’t done before. CIG Matt Sherman (5:36:17 PM): No plans to let players fabricate any ships. CIG Matt Sherman (5:36:44 PM): There are plans for player-interactions with the general manufacturing systems of the world, but it won’t be traditional MMO crafting. CIG Matt Sherman (5:38:10 PM): The rough-idea would be more if you salvage a tangible part, it’d just really need repairs, otherwise, the part would have just been reduced to scrap during the salvaging. CIG Matt Sherman (7:17:12 PM): Part of that is more with the move to functional multi-crew, the pre-existing slaving for manned turrets had to be disabled. CIG Matt Sherman (7:17:38 PM): In time, it’ll come back as an option where the pilot can slave the turret to their forward mounts, just not functional right now. Matt talks about the future of missile systems and the direction they are going in. CIG Matt Sherman (12:42:52 PM): Missile gameplay will get more interesting as we get things fleshed out and get Avionics-setup choices to really matter. CIG Matt Sherman (12:45:38 PM): There’s a few approaches, like either lock/track from distance, or a full view-swap TV-missile, but neither is something we’ve done any active experimentation with since there’s enough other moving parts to work on now. CIG Matt Sherman (12:46:21 PM): There’s plans to add more gameplay for the launchers. CIG Matt Sherman (12:46:42 PM): The Connie is a good example, we’re looking into a few different configuration options for the missiles, each with some different behaviors. CIG Matt Sherman (12:47:38 PM): IE, link-multiple launchers to a single target-lock, multi-launcher targeting across numerous targets, etc. Some talk on the nature of loadouts and the move away from “jack of all trade” loadouts. CIG Matt Sherman (12:52:35 PM): There’ll be a ton of components for loadouts, and no ship is being sold with absolute peak-performance components stock, so there will be room to improve every ship. CIG Matt Sherman (12:53:00 PM): The bigger goal though is not to have bland ‘defacto-right answer’ ships or loadouts. CIG Matt Sherman (12:53:39 PM): There should be great loadouts for a situation, but no high-functional jack-of-all-trades simultaneous role loadouts. CIG Matt Sherman (1:13:15 PM): Ya, different ships will have differing capacities for life support based on their roles. CIG Matt Sherman (1:13:47 PM): And something like the Retaliator’s Living Module and Drop Bay module would each be adding more life support to help accommodate the extra passengers. CIG Matt Sherman (1:21:58 PM): As for any component-swapping, you won’t be doing any of that stuff mid-flight. At best, you can fly a Crucible over to the ship you need to work on, and that would be able to provide component-changing capability, but if you’re just by yourself, you won’t be swapping full components out. Matt talks about Mods and Servers as well as S42 coop. CIG Matt Sherman (1:53:59 PM): Co-op content is still planned, but not drop in/out co-op for SQ42 campaign, since that creates a lot of problems in terms of storytelling/pacing. CIG Matt Sherman (1:54:46 PM): Mods and Private Servers are also still planned, but again, post-launch support since we need the whole PU up/running to know what we need to provide/support in terms of a private server option. Matt talks a lot about different ships including progress and the AC restrictions on some. CIG Matt Sherman (2:01:49 PM): Ya, Lancer, Tali and Connie are the 3 Crusader-only ships right now. CIG Matt Sherman (2:14:10 PM): BMM still needs its base-model build out to happen before any possible considerations for off-role gameplay gets considered. CIG Matt Sherman (2:14:24 PM): But as-is, it’s still in its holding pattern waiting its turn for development. CIG Matt Sherman (2:15:40 PM): Carrack’s also waiting it’s turn, and no, won’t go into the current order of things in the pipeline. CIG Matt Sherman (6:17:26 PM): But we have been making a bigger push recently to get more of the base models of ships setup, especially since we’re getting more into the bigger ships being flyable now. CIG Matt Sherman (6:30:12 PM): Idris-setup needs for SQ42 are a bit different from the needs to be player-operable. CIG Matt Sherman (6:30:29 PM): So just having SQ42 ready won’t mean the full Idris is player-facing complete. CIG Matt Sherman (7:08:13 PM): DX12 compatibility is still in the works by the Frankfurt team since they do the heavy-lifting with the engine side of the game. CIG Matt Sherman (7:08:30 PM): But keep in mind, there’s a big difference between a program being DX12-compatible and something being DX12-native. Clarification on salvage mechanics and the Reclaimer in general. CIG Matt Sherman (11:16:05 AM): Eh, salvage is not being broken down to the old nano-tech-mcguffin. CIG Matt Sherman (11:17:35 AM): Right now, before anyone overthinks anything for salvage, just wait till we can get a design-post up for it. We’ve already done a bunch of the core planning, just still working out details though before it’s ready to share with everyone. CIG Matt Sherman (11:25:35 AM): You’d be able to salvage out usable components, ya, though you may need to take them in for repairs, or you could just scrap down the whole thing to raw material. CIG Matt Sherman (11:30:09 AM): The claw is there to hold something in place so you’re not burning through power/heat on a tractor beam to hold a large mass to break down into pieces. CIG Matt Sherman (11:31:56 AM): Also raw scrap in space isn’t as bad, it’s more just making sure you don’t leave any good, salvagable components lying around. Elaboration on the feasibility of cramming a Merlin into a Freelancer. CIG Matt Sherman (12:44:18 PM): Merlin wings only fold when it does an allowed landing, which the interior of a Lancer wouldn’t be tagged for, so unlikely you’ll get it to fold/stow that way. CIG Matt Sherman (12:45:37 PM): The wings will fold when it’s landing somewhere intended. CIG Matt Sherman (12:45:44 PM): Anywhere else will be at the users own risk. CIG Matt Sherman (12:47:09 PM): Oh ya, you can definitely try it, just doesn’t mean it’d become something actively supported to work on every single ship. CIG Matt Sherman (12:47:22 PM): Lancers aren’t built to scramble a snub craft afterall. Some deets on everyone’s favorite space yacht. CIG Matt Sherman (1:50:50 PM): 890J is going to be a fun ship to get built out, though even since AtV yesterday, I’ve already seen a bunch of threads/posts still thinking it’s going to be more than a luxury yacht. CIG Matt Sherman (1:51:41 PM): It’s more yacht than cruise liner just for it’s general size/scale in contrast to other ships. CIG Matt Sherman (1:51:56 PM): If Origin makes something similar but bigger than an 890J, that’d be more cruise-ship size. CIG Matt Sherman (1:57:00 PM): 85X will also be fun, 2-seat snub that actually has a small cargo allowance. Thanks for tuning in for this weeks Devchat! We plan to keep doing these on a bi-weekly basis to keep you all informed.